For the Digi Haven Challenge - Click here! Happy Friday! Today is the final challenge for the second term DT members. For this challenge, we decided to do anything goes. For my card, I used the Sweet Talk stamp set. I just love this set. 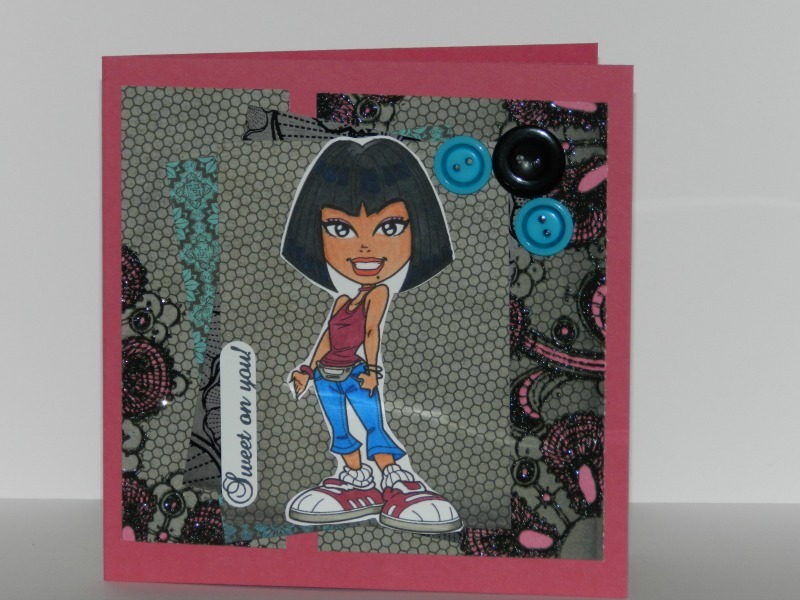 It's full of sweet sentiments that can be used for practically any card. I used a past sketch from Card Patterns for the layout of the card. The image is from Kenny K designs. I just love their artwork! I used my copic markers to color in the image. Thanks for joining me today for the CTV challenge. Don't forget to stop by and play along with us! She is one Hot Diva. You did an awesome job coloring her up.